Daghang Salamat sa supporta, Cebu, Leyte & So. Leyte ❤️ This is just the beginning..
was named Miss Eco-Philippines 2017 at the Miss World Philippines 2017 coronation night on September 3, 2017 at the MOA Arena. 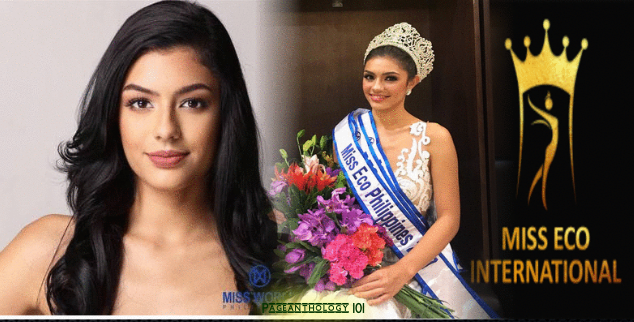 She was crowned by Miss World 1993 2nd Princess Ruffa Gutierrez, Miss World 2016 1st Princess Yaritza Reyes and Miss World 2016 Africa- Evelyn Njambi. She has won numerous awards including Miss Blue Water Day Spa, Miss Photogenic, Top Model, and Best in Long Gown. Prior to winning the Miss Eco-Philippines title, Thomalla was Reyna ng Aliwan 2016, Miss Southern Leyte 2012 2nd Runner-Up, Miss Pintados 2013, Miss Mandaue 2015 First Runner-Up. This Kagandahang Flores beauty was one of the applauded beauties during the pageant night. During the Q and A portion, she was asked, “What do you think is the most important social issue facing our generation? Her answer: "The one social issue facing our generation today is the use of social media irresponsibly that is causing a lot of conflict and misunderstandings. So I encourage everyone to use social media responsibly and to show the world.. to spread love and understanding and respect not just posting anything just for fun. Be mindful of what to post and think before you click!" Standing 5'5.5 tall, Cynthia will be groomed for almost 7 months in preparation for Miss Eco International pageant in Egypt in April 2018. This annual beauty pageant which advocates for tourism and environment began in 2015 as Miss Eco Queen, the name changed to Miss Eco Universe in 2016. The title was changed to Miss Eco International in 2017 and held in Egypt for three straight years.